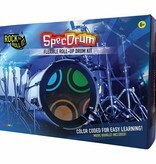 Color coded for easy learning. 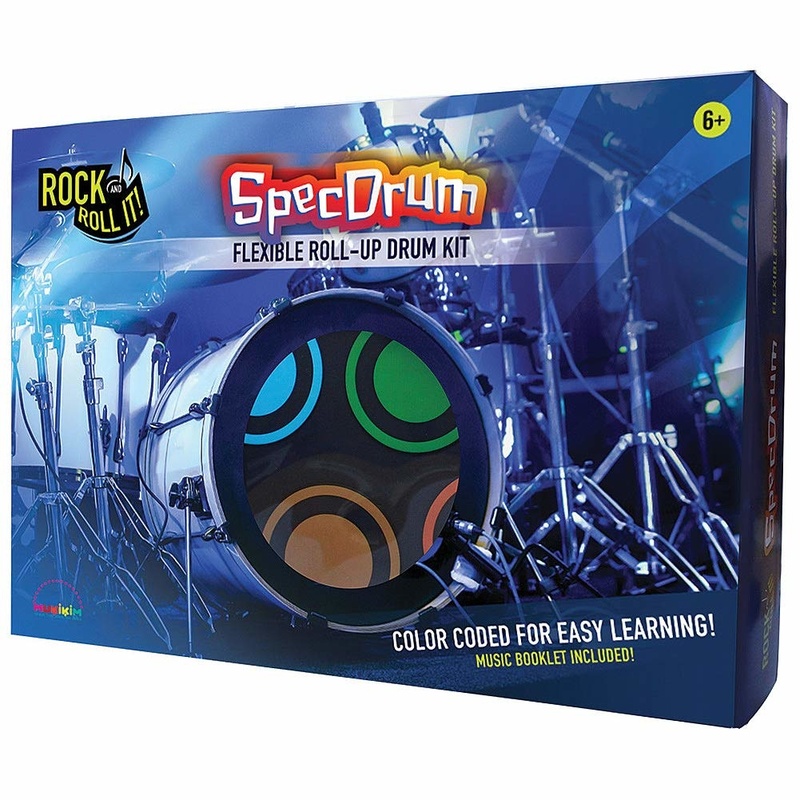 Made from silicone, easy to roll-up and travel. 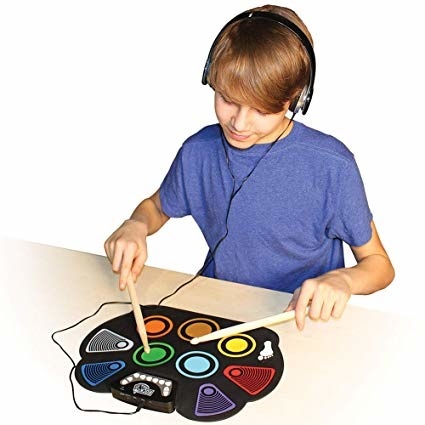 Features a play-by-color song book, multiple instrument racks, record and playback buttons, headphones, two drum sticks, and two foot pedals. Requires AAA batteries or USB power. 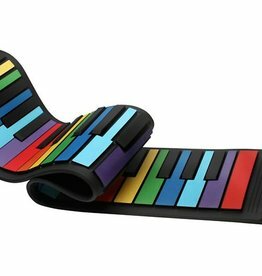 A flexible roll-up rainbow piano perfect for beginners.